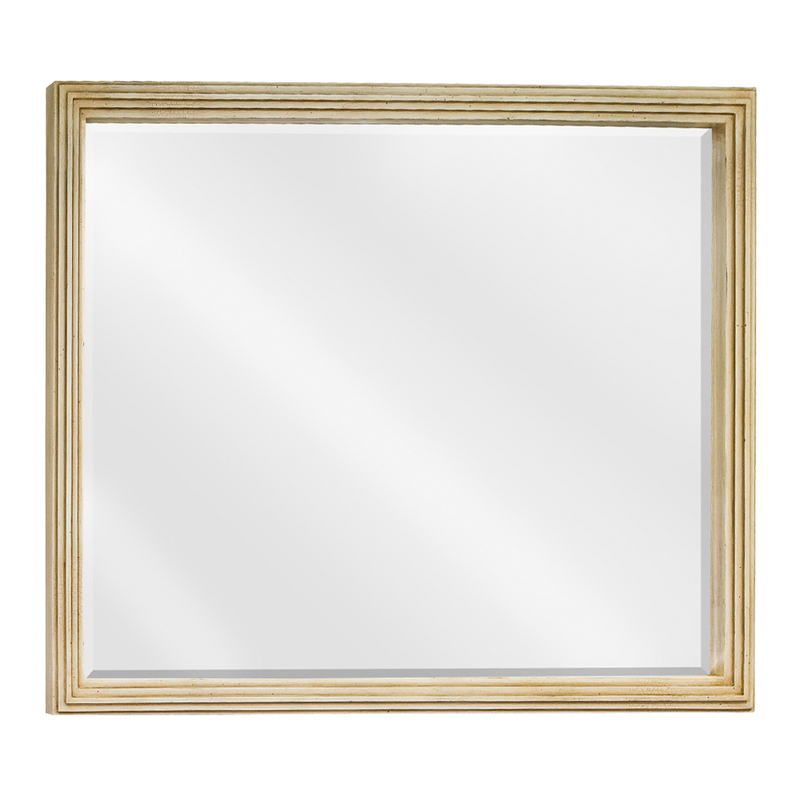 Brighten up the atmosphere of your bathroom with a bath vanity that shines like our 48" Chula Vista Single Bath Vanity. 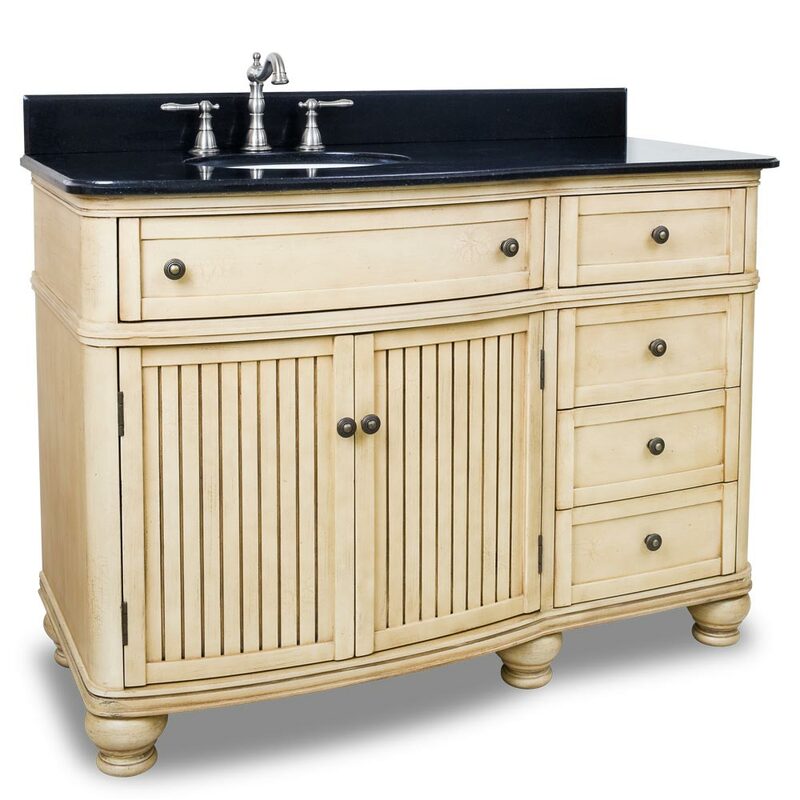 With a fresh feel made possible by its light Buttercream finished cabinet, this vanity offers style with functional features! Its country-style beadboard cabinet doors open up to reveal plenty of space for storing bathroom necessities, while the 4 side drawers give you organized storage space for everything else. 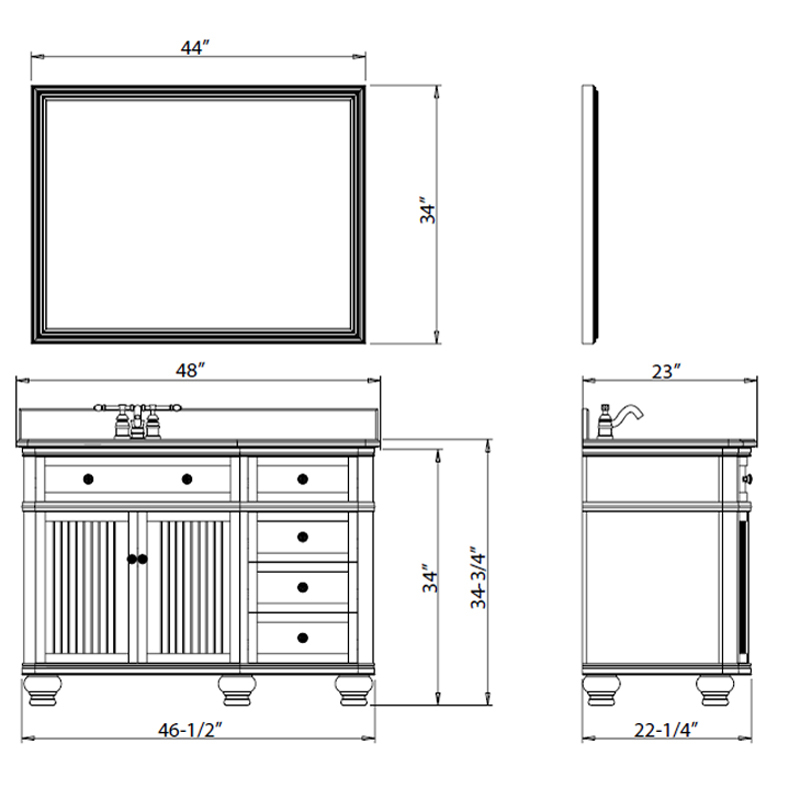 For quick access bathroom necessities, the Chula Vista also features a completely functional top drawer that is designed to fit around the interior plumbing. The Chula Vista's crackle appeel also gives it an antique feel, that's further enhanced by the lovely country-like, antique door knobs for each of the drawers and cabinet doors. To top it all off, the Chula Vista is fitted with a simply exquisite black granite top that will make the entire bathroom shine.